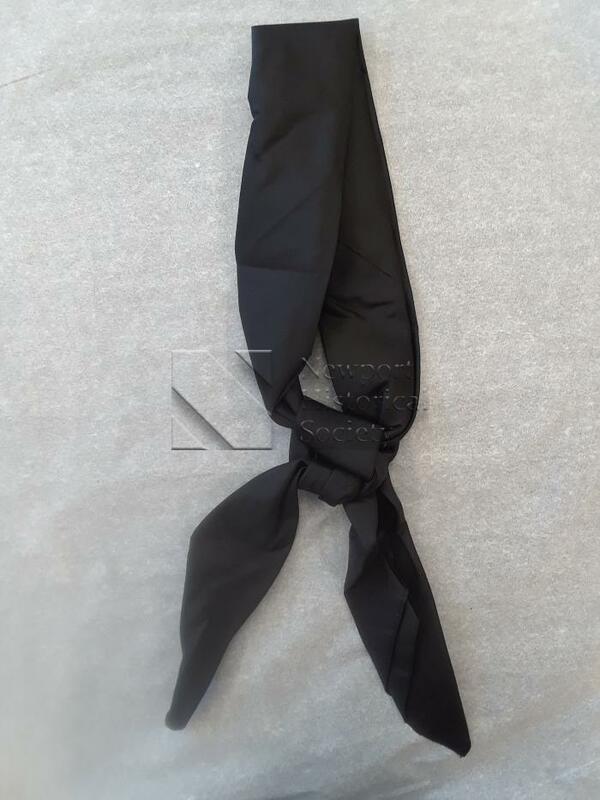 Black necktie from a sailor's uniform worn by Peter Bolhouse. Both selvage and cut edges with narrow hems. Parallel lines of tone-on-tone decoration on edges forms grid in corners.